Sharon M. (Godleski) A’Hearn of Woodbridge, VA died peacefully on February 3, at the age of 72, after succumbing to cancer. Married 51+ years, her husband, Francis and their sons, Noel and Scott were at her side. She treasured her family, including daughters-in-law Christine and Stephanie and three grandchildren, Liam, Clare, and Lily, as well as her two sisters Maryclair (Paul) Grace of Liverpool, NY and Betty (Larry) Hawkins of Lewes, DE. Sharon is predeceased by her parents, Lewis and Helen Godleski and brothers Jack and Gary. She is also survived by many nieces, nephews, cousins, as well as brothers and sisters-in-law from Francis’ family, namely: Lorene (Patrick) Dadey; Brother Anthony; and Rich (Linda) McCoy. 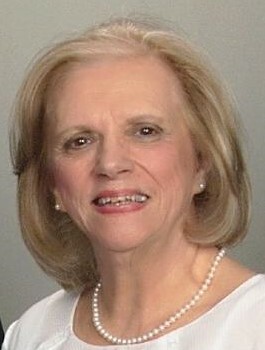 Sharon was a graduate of East Syracuse High School, class of 1964 and Cortland State College with a degree in Education. Sharon taught elementary and middle school for many years in Virginia, in various other states and in Iceland, as she and her husband traveled for his Air Force assignments. In fact, Sharon and her husband loved to travel and they had visited France, the UK, Ireland, Germany, Italy, Bermuda, Canada, and many locations here in the US. Both she and her husband were born in Syracuse. She was a devoted Catholic and her hobbies included knitting and reading.